Echo Park is, depending on your point of view: the poor man’s Silver Lake, the rich man’s Highland Park, the Williamsburg of the West Coast, a 40,455-person working-class burg full of diversity or it’s that strange little neighborhood you drive through getting to Dodger Stadium. But, bar none, it is the greatest neighborhood in Los Angeles The site of the city’s first real estate boom in the 1880s, and subsequently the center of the emerging movie industry. Echo Park real estate has quite a storied past. Largely working class and a haven for artists, its eclectic character has continually evolved for over 120 years into a dynamic blend of cultures, incomes, business activity, and social activism making it a truly unique neighborhood that is cherished by its residents. All of these factors, combined with its historic architecture and magnificent hills, contributed to it being named one of “the top 10 great neighborhoods” in the country by the American Planning Association in 2008. Echo Park’s rich history lives on in its awe-inspiring architecture. A wide variety of character homes in Echo Park’s real estate fills the neighborhood, including styles such as Craftsman Arts & Crafts, Mission Revival, Art Deco and Colonial Revival. The small quarter of Angelino Heights is Los Angeles’ first historic district, notable for its many Victorian-era houses, lovingly restored by the neighborhood’s growing creative class. The boundaries of Echo Park real estate is not formally defined they’ll vary depending on the source that you reference. However, a commonly accepted map is one that follows Alvarado Street and Allesandro Street on the west, the Los Angeles River to the north, the 110 freeway to the east, and the 101 freeway to the south. Fargo Street and Baxter Avenue have both claimed the title of steepest street in California. The hilly topography of Echo Park promises an astounding view from almost anywhere in the neighborhood. The commercial strips of Echo Park are filled with trendy and hip cafes, restaurants, boutiques and bars that provide a lifestyle that is an extension of its neighbor Silver Lake. However, the one thing that keeps on drawing the new generation of bohemians with Eastside dream are the home prices of Echo Park’s real estate. The neighborhood is populated with modestly sized homes and you can still find a good back for the buck house in Echo Park, even though the demand has been steadily growing. Echo Park real estate has an average media house pricing of $829,500 and has an average home value of $896,500, while the price per square foot is $727 while the average median rent per month is $3,900. Trends in Echo Park real estate show a 34% increase in median sales price and a -10% drop in median rent per month. It has a population of around 43,832 according to the U.S. Census and 16,868 people per square mile, among the highest densities for the city of Los Angeles and among the highest densities for the country. There is a high percentage of Asian and Latino in the area. This is a moderately diverse neighborhood. The median household income is $42,226 while the percentages of households that earn $20,000 or less and the $20,000 to $40,000 are high for the county. The median age is 30 about average for the city of Los Angeles. The percentage of residents ages 19 to 34 is among the county’s highest. There are 41% Mexican and 5.2% Chinese residents. There many spots in Echo Park and near it where you can hang out, dine or shop. Echo Park real estate has come a long way from being a gateway to immigrants. It became the foundation of the culturally thriving community it is today. If you’re a Chicago transplant and have hankering for deep pizza dish than can match up to your personal hometown favorite then Masa may stand a chance of meeting that challenge. If you’re a vegan then you can visit Sage Vegan Bistro. Located in the corner space of a beautiful 1920’s building on Sunset and Logan. In a city that attracts and breeds some of the best filmmakers in the world. It is only fitting that Echo Park Film Center exist. It has been providing equal and affordable community access to film resources in a wide variety of ways. If you enjoy cooking, prefer to use just the finest of ingredients and has the heart to support small businesses. Cookbook is the place to go. Every neighborhood should have a coffee lovers haven, in Echo Park is Fix Coffee. Mohawk Bend restaurant and bar use only California ingredients to create mouth-watering “elevated” pub food. If you’re that type who wants to go out and feel the wind breeze, then go to Echo Park Lake. It is a scenic icon of the area that functions primarily as a detention basin. Also providing Echo Park recreational benefits and wildlife habitat. Elysian Park is where you can hike. It’s steep hillside contains many iconic landmarks. In its 50th year, the modern design of Dodger Stadium, with its iconic wavy roofs above the outfield pavilions. It is among the best venues in baseball for watching a game in person. With views of downtown to the south and the tree-lined hills of Elysian Park to the north. Sitting in the stadium as the sky turns pink at sunset can be a magical experience in sports. 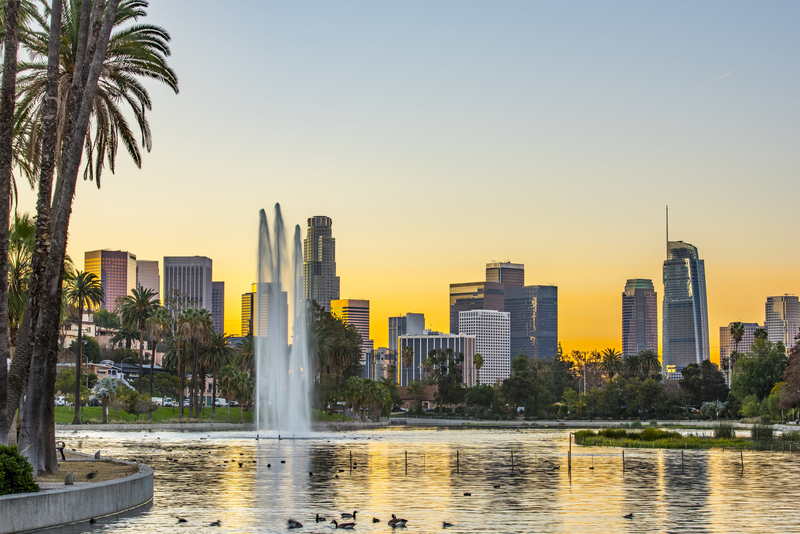 In recent years Echo Park real estate has experienced an upsurge of artists, hipsters, and young professionals. Without entirely losing its working class families. It is becoming one of the most economically diverse and culturally rich communities in Los Angeles. The area is home to the Lotus Festival, Cuban Festival, and Historic Filipino town. Echo Parks offers interstate access; walkability is second to none, gorgeous parks and recreation. It is great for shopping and food lovers, Skyline and Nature views, Biking and Walking trails and music events. Echo Park real estate maintained its eclectic feel, hip and vibrant. If you are considering moving into a new place then consider the best homes of Echo Park real estate. This might be the best or one of the best decision of your life.